Road Ministry to argue that not age but the condition of vehicles and emission norms should drive any such ban. New Delhi: The Union Road Transport and Highways Ministry is planning to appeal the Supreme Court’s Monday order prohibiting the plying of 10-year-old diesel and 15-year-old petrol vehicles on roads in the National Capital Region. Senior government officials familiar with the development told ThePrint that the ministry will take a stand that banning vehicles on the basis of age is not the right call. “It should be the condition of vehicles and their emission standards and not their age that should be taken into account,” a government official said. 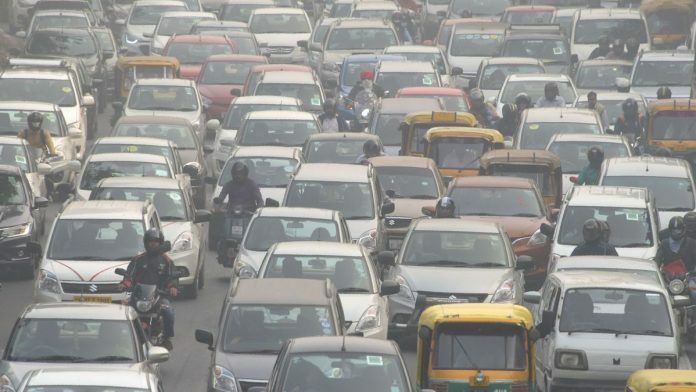 Earlier, the National Green Tribunal (NGT) had also banned the plying of 10-year-old diesel and 15-year-old petrol vehicles on Delhi-NCR roads. The Road Ministry, government officials said, is contemplating becoming a party to the appeal filed by the Department of Heavy Industries (DHI), which had in January 2017 approached the Supreme Court against the NGT order. “The Road Ministry is planning to become a party with the Department of Heavy Industries in the case,” a government official said. The DHI had also appealed against banning vehicles on the basis of age and had argued that it results in loss of vehicles, especially personally owned vehicles that have been maintained well. On Monday, the apex court, while giving its order, had attributed it to the prevailing pollution situation in the region, which the court described as being “very critical”. The court has directed the Delhi transport department to identify such vehicles and impound them. It also said that a list of such vehicles should be put up on the website of the Central Pollution Control Board and the NCR’s transport department. I want to know from The Print that when the ministry is going to file this appeal because so far around 40 lacs vehicle owners have remained unheard what’s latest?? It is really appreciable that government is thinking on the right line lately because banning a vehicle which meets the prescribed emission norms is totally incorrect unjust illogical nd ill-informed and meaning strange unthoughtfull way of tackling problem of pollution of such gigantic proportion This decision is not merely non judicious in many ways also very harsh especially to the law abiding middle class unheard dejected owner of SPARINGLY USED METICULOUS LY maintained hardly 50k KMS run family owned one car used occasionally thus a man machine combination true friends of mother earth nd environment. This arbitrary unnecessary ban on many of good vehicles would result in forced undesired buying of old technology vehicles which will be not of much use even after availablity of BS-VI fuel in mid 2020 as far as better emission norms r concerned so planning Shud be in such a way that this absolutely important timely fight against this menace of all sort of pollution is executed in a manner that this produces a sustainable parmanent self effecting system of pollution control NEED A THINK TANK???? In accordance with the production of vehicles and population increased, proportionately there is no infrastructure development in INDIA like flyover bridges, metro trains, dedicated lane for passenger bus services, compulsory foot paths at both side of road for pedestrian, strict trafic rules and law order. Unfortunately, in Jamshedpur, we do not have foot path for pedestrian. No dedicated Lane for buses. Regular accidents due damage roads. We are regular tax payers. We are regular one time advance vehicle tax payers. We do not have roads to ride. No punishment to contractors for completion of roads in a bad condition, violated as per specifications. Every 10 persons, 08 having two wheeler, 6 having four wheeler. In addition, every 10 persons, 8 auto rickshaws, vans. While the move of the government if it materialises needs to be appreciated, what cannot be overlooked is that extremist groups with dangerous agendas are trying to run the country through the Supreme Court. The simple fact is that if the emission norms are met, the vehicles cannot and must not be prevented from running on the roads. If necessary, the Govt can bring in an ordinance. The latest order of the SC is likely to affect lakhs of personal vehicles which would be in excellent running condition. Ofcourse it cannot be “ age” of the vehical. It has to be the condition of the car . If I have bought the car 10 years ago , maintained it well , used sparingly , why should my car be impounded ? And it is also discriminatory because this was not the rule when I bought the car .i could have bought a petrol car ! There are many reasonable, well informed people who believe the judiciary – really, the apex court – is intruding into the executive domain, most recently with firecrackers and now this. There is a possibility that the use of private vehicles could be banned altogether; more likely, some variant of Odd Even could be introduced. Delhi is the economic equal of Bombay. Most people use personal transport for work, home to office and back, few for leisure. Why is the political executive, mainly the Centre, but also the states, not doing enough to make the capital – which people loved to visit in winter, including foreign tourists and government leaders – less of a gas chamber. We read scary stories of childrens’ lungs being permanently damaged and impaired, of a possible cancer epidemic. These are basic issues any government is expected to find practical – given our financial resources – solutions to. I would not be surprised if one fine day the apex court passes an order banning the burning of agricultural stubble in the neighbouring states and tells the state governments, We will proceed against you in contempt if there is any violation.